Come check out our beautiful location on the edge of Historic Downtown Perry, offering 2 large studios and closed circuit tv for observing classes. 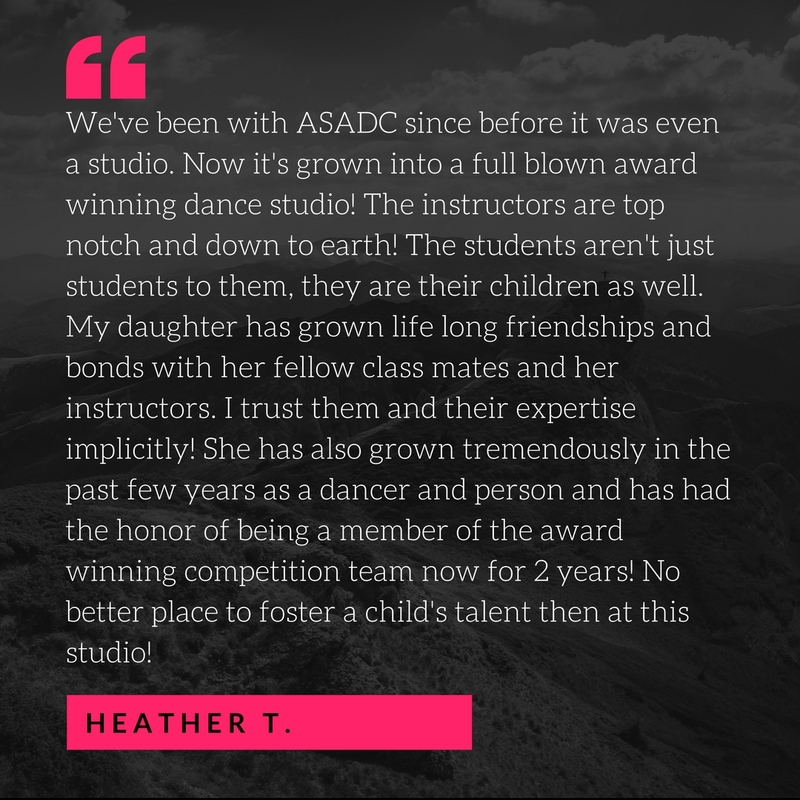 We have classes for 2.5-adult because it’s never too late to achieve your dreams! 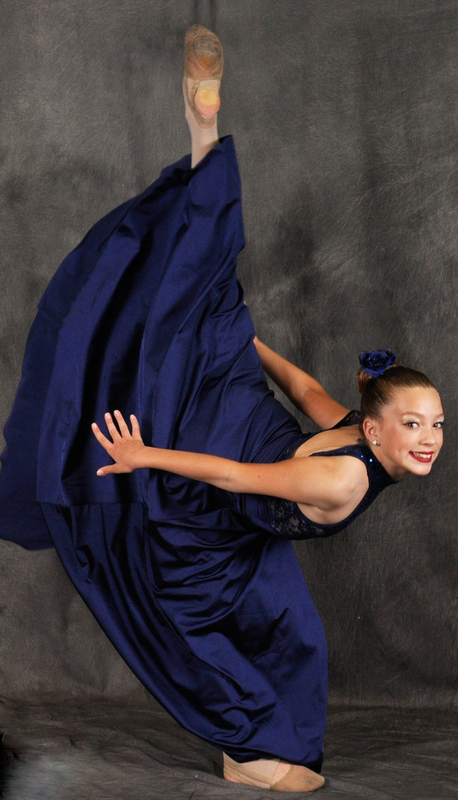 Techniques offered are ballet, tap, jazz, lyrical, cheer dance, acrobatics, and competition teams. We have the BEST PRICES IN MIDDLE GEORGIA! 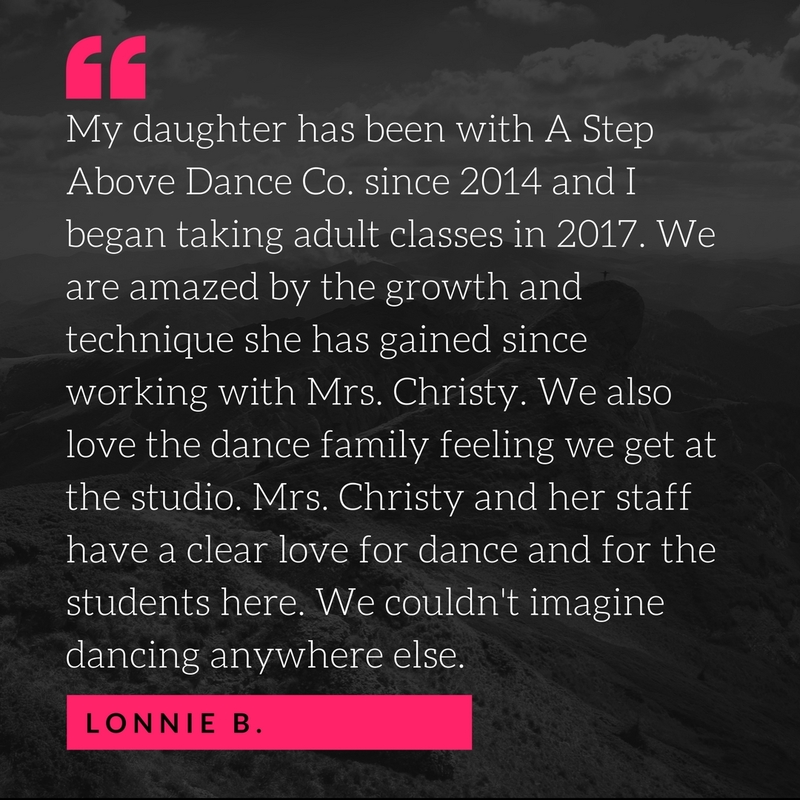 Classes start at a very affordable $45/month for 1 hour/week, and an annual $25 family registration fee. Additional classes or other family members are just $35/month and no additional registration charges. The best form of advertisement is word-of-mouth so ask about our current referral bonus when a friend joins. 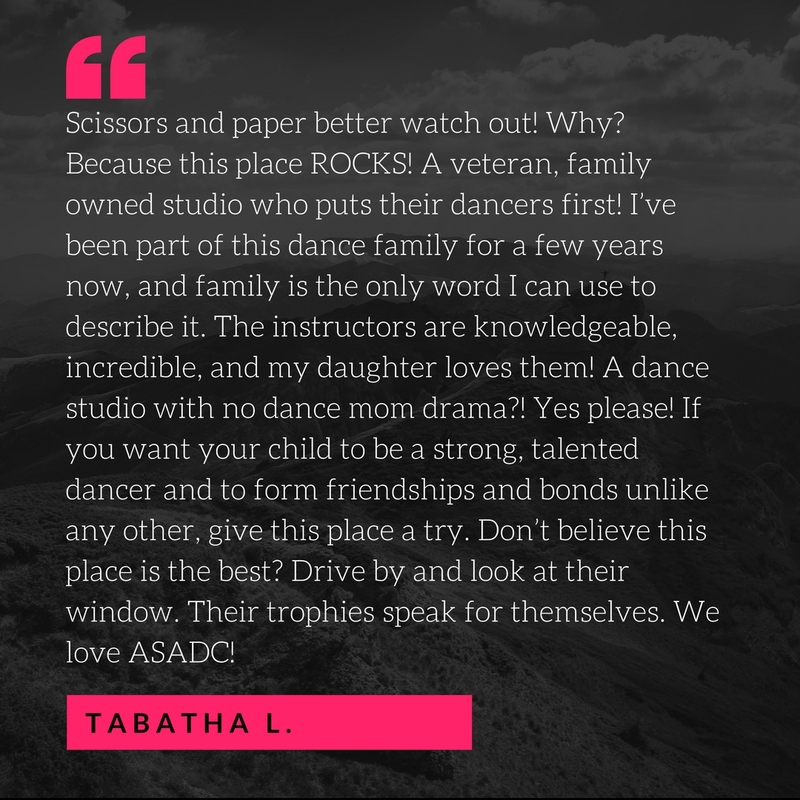 We don’t believe that dance has a ‘season’ so we have open enrollment all year long! Check out our schedule or give us a call today 478-224-2155 for more information. 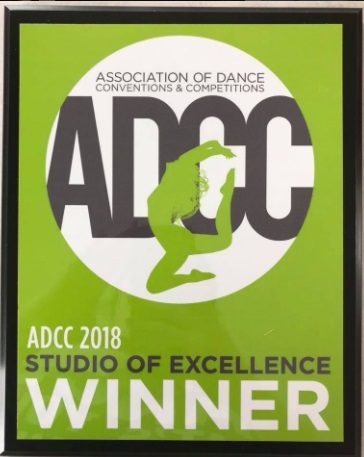 Over 30 years of dance experience! Don’t believe we’re A Step Above the rest? See what others have to say about us . . . I am interested in registered my two year old, but would like to know in which class will she be in at her age please? Thanks. Also would like directions on how to get there. When is her birthday? I generally don’t place them in a class on their own until they are 2.5. Under that age we have Mommy & Me. 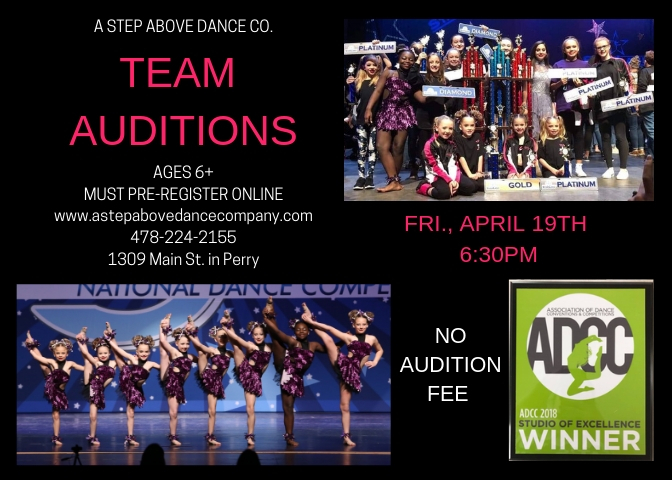 Please feel free to email astepabovedanceco@gmail.com for directions and more information. hi my name is sarah dozier.I whant to know if you guys let people try a class. Yes ma’am, the first class is always free to new students!